Right from the beginning the deciphering of the mysterious Egyptian writing fascinated everybody. In 1799 a certain Captain Bouchard of the Franch Army was supervising work on the fortifications of Fort St. Julian, situated a little more than four kilometres outside the town of Rosetta when his workmen discovered a stone which was destined to achieve great fame in archeological history. It was in fact the « Rosetta Stone » which led to the deciphering of the hieroglyphs. As a result of the fortunes of war this precious stone fell into the hands of the British who gave it a place of honour in the British Museum. On one face of the stone, a tablet of extremely hard black basalt, there is a long trilingual inscription, the three texts being written one above the other. 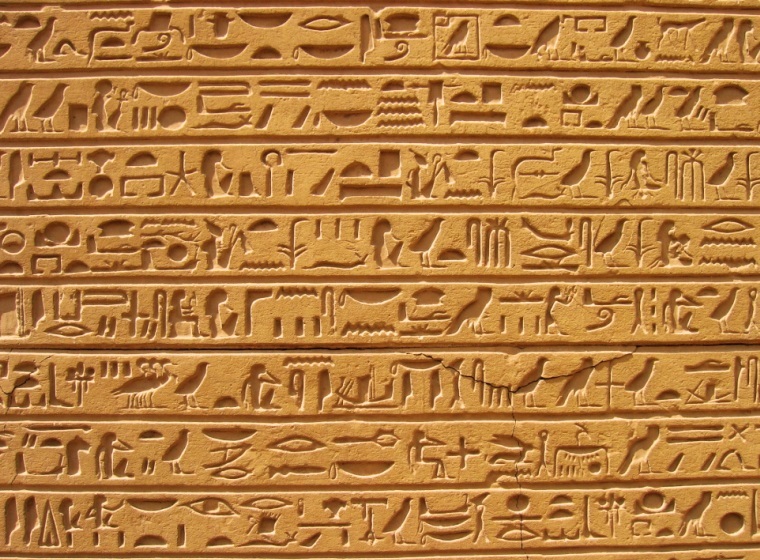 The first of the inscriptions, 14 lines long, is written in hieroglyphs. The second, 32 lines long, is written in demotic, from the Greek word « demos » meaning people, which refers to a type of script used by ordinary people. 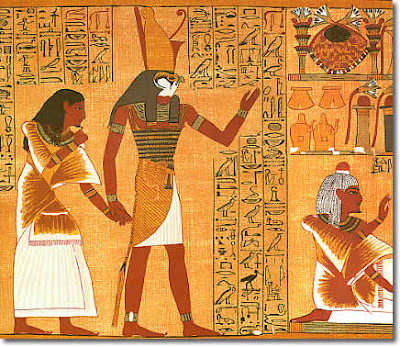 (Demotic is contrasted wth hieratic, from « hieros » meaning sacred, whose use was restricted to priests and scholars). The third inscription, 54 lines long, is in Greek and hence was comprehensible. This latter text, translated without difficulty, proved to be a priestly decree in honour of Ptolemy Epiphanes which finishes with a formal instruction that « this decree, engraved on a tablet of hard stone, in three srcripts, hieroglyphic, demotic and Greek, shall be engraved in each of the great temples of Egypt ». The honour of deciphering the hieroglyphs fell to two scholars, the Englishman Thomas Young and the Frenchman Francois Champollion who started work on it at almost the same time and who were to see their efforts crowned with success. However Champollion probably has a greater right than his rival to be regarded as the man who deciphered the hieroglyphs. What Young achieved by instinct Champollion achived by scientific method and with such success that by his death in 1832 he could leave behind him a grammar and a very substantial dictionary of ancient Egyptian. But what did this writing that the Greeks called hieroglyphic, from « hiero glyphica », that is « sacred signs », actually consist of? 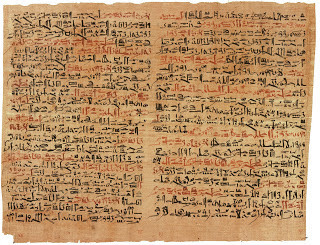 The ancient Egyptians themselves called their written texts « the words of the gods ». In fact according to tradition men were taught to write by the god Thot himself during the reign of Osiris. Down through the centuries the writing retained a sacred character and more or less magical powers. 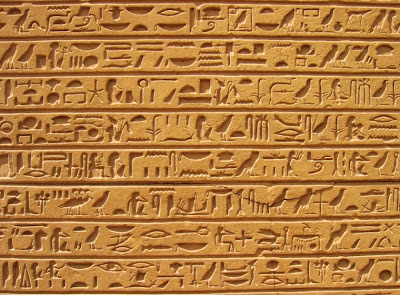 Anybody who knew how to write the approximately seven hundred signs which constituted Egyptian writing, each sign representing a sound or an object, was held in great esteem. The names of the kings and queens were surrounded by an outline which ar- cheologists call a « cartouches ». It was precisely from the names of Cleopatra and Ptolemy, engraved inside their « cartouches » on the Rosetta Stone, that Champollion started his long work on the deciphering of the hieroglyphs. The ancient Egyptians either engraved the hieroglyphs in the stonework of their temples or painted them on the walls of the burial chambers or inscribed them with a reed pen on rolls of papyrus, the antecedent of our paper. What is papyrus? Papyrus is a perennial grass, a species of reed whose stem can range in height from two to five metres and which is terminated by an umbrellashaped flower. The white spongy pith of the stem was cut into thin sections which were laid out on a flat surface and stuck together at the edges. Then a second layer was laid on top of the first in a direction at right angles to it, the whole was then wetted and allowed to dry in the sun. This constituted leaf which was pressed and then scraped to make it thinner. Several sheets would be joined together to produce a long strip which could then be rolled up. The writing on the roll was presented in columns.